Prominent chefs and other TV personalities expressed shock on Friday at the death of chef turned TV star Anthony Bourdain at age 61. 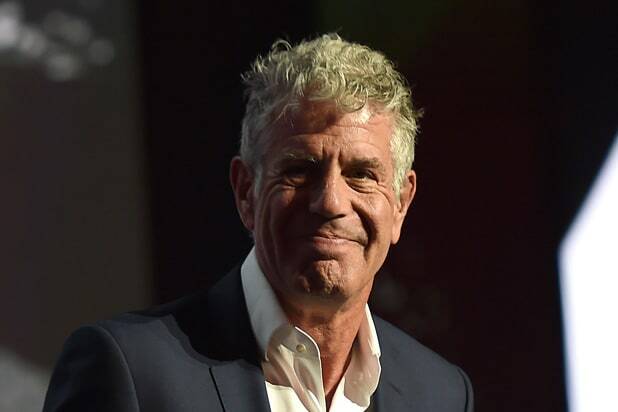 Longtime friend of Bourdain and fellow chef Éric Ripert found the “Parts Unknown” star unresponsive on Friday in his Paris hotel room, according to CNN. “Anthony was my best friend,” Ripert wrote on Friday. Read more on that here. According to the BBC, Bourdain’s body was found in a hotel room in a Strasbourg, France, where he was shooting an episode for CNN’s “Parts Unknown,” now in its 11th season. Many stars took the opportunity to note that Bourdain’s death came just days after that of fashion designer Kate Spade, also by suicide, and underscored the crippling effects of depression. Others tweeted contact information for suicide prevention hotlines and encouraged fans to seek out medical help if they were feeling overwhelmed. I’m staying away from the hurly burly of the day and trying to keep the love for my friend in my heart, but wanted to let the thousands of you who have reached out know how much I appreciate your messages. Hope, love, respect… let’s honor that right now. Here is the thing…just one of the things that makes this so hard and confusing. I think everyone wanted to be Anthony Bourdain. Hard to process. Not the news I expected this morning. As if the work weren't clear on this, he radiated kindness and well-being. Hard to find the words. So many people suffering. Call or text that person in your life you're thinking of right now. Help them get to tomorrow. My heart is broken for my sweet friend @AsiaArgento. … Anthony Bourdain???? My first thought was how hard the double-whammy of news this week must be for some of us. It's hard for me, and I'm doing ok right now, mentally. Reach out to the people you love.